Glasgow-born Robertson was part of Celtic’s youth set-up, but broke through at senior level with Queen’s Park. His professional first-team debut came as an 18-year-old in August 2012. He made 34 league appearances for Queen’s Park in 2012-13, before moving to Scottish Premiership outfit Dundee United in June 2013. Robertson enjoyed a superb 2013-14 campaign at Tannadice. His early-season form saw him named the division’s Young Player of the Month in September and senior Player of the Month in November. International recognition at U21 level arrived in October 2013, and Robertson won the first of his 15 senior Scotland caps just five months later. 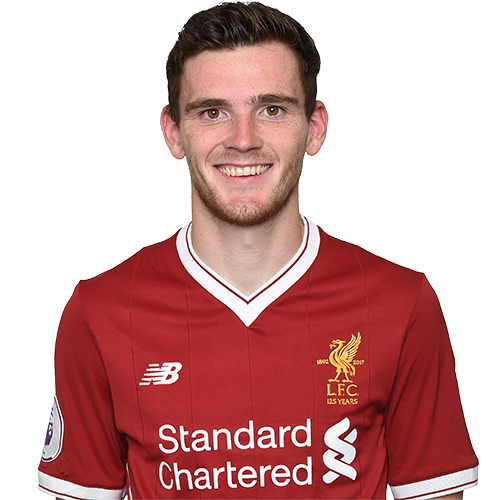 With five goals in 44 club appearances across all competitions in 2013-14, Robertson was named PFA Scotland Young Player of the Year and included in the PFA Scotland Team of the Year. After a single season in Scotland’s top flight, Hull came calling. Robertson joined the Tigers in July 2014 and made 24 Premier League appearances in his first term with the club. What to date remains his only senior international goal arrived in November 2014, when he found the net against England in an international friendly. Robertson, who turned 23 in March, made a total of 115 appearances for Hull. He becomes Jürgen Klopp’s third new signing of the summer, following Mohamed Salah and Dominic Solanke to Anfield. While playing for amateur club Queen’s Park, Robertson also worked at Hampden Park and in a supermarket.